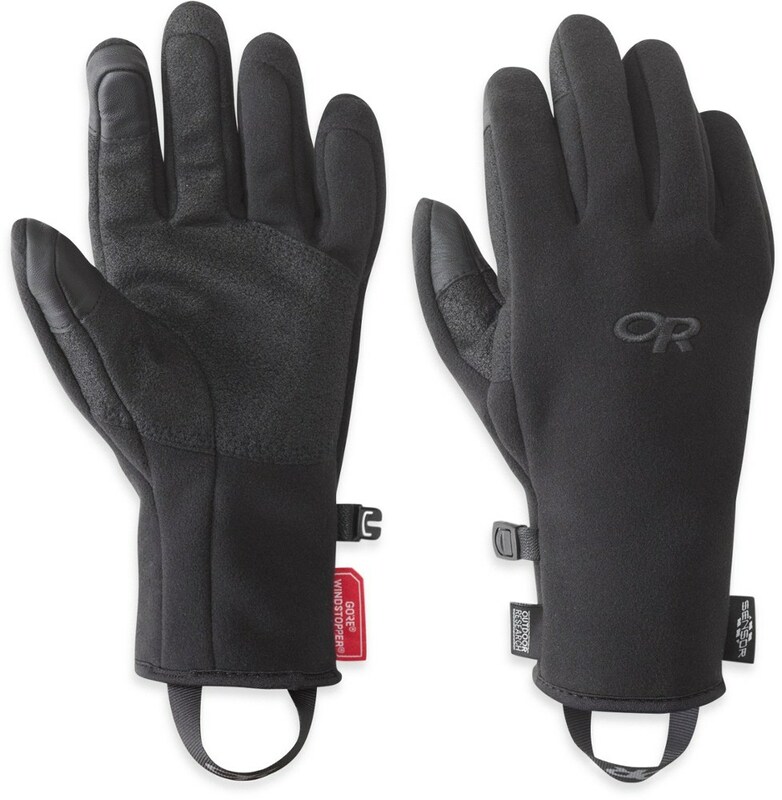 Visit Outdoor Research's Men's	PL 150 Gloves page. 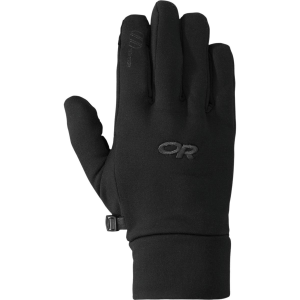 The 150-weight Polartec Power Stretch fleece Outdoor Pl 150 Glove for Men has a soft interior and a smooth outside finish. Their smooth, stretchy fit makes them superb mid-weight liners. 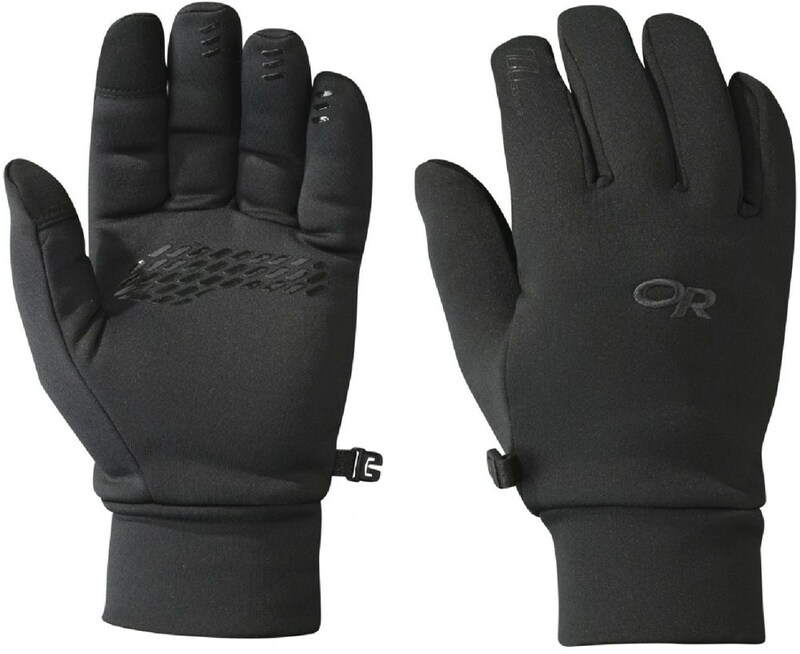 An extended cuff allows this glove to mate comfortably with shell gloves that have longer gauntlets. Outdoor Research Men's PL 150 Gloves FEATURES of the Outdoor Research Men's PL 150 Gloves Breathable Lightweight Wicking Quick Drying Silicone Grip Pads on Palm and Finger Tips Contoured Wrist Glove Clip SPECIFICATIONS of the Outdoor Research Men's PL 150 Gloves Weight: per pair: (L): 1.7 oz / 49 g Radiant Fleece 54% nylon, 41% polyester, 5% spandex 150-weight This product can only be shipped within the United States. Please don't hate us. 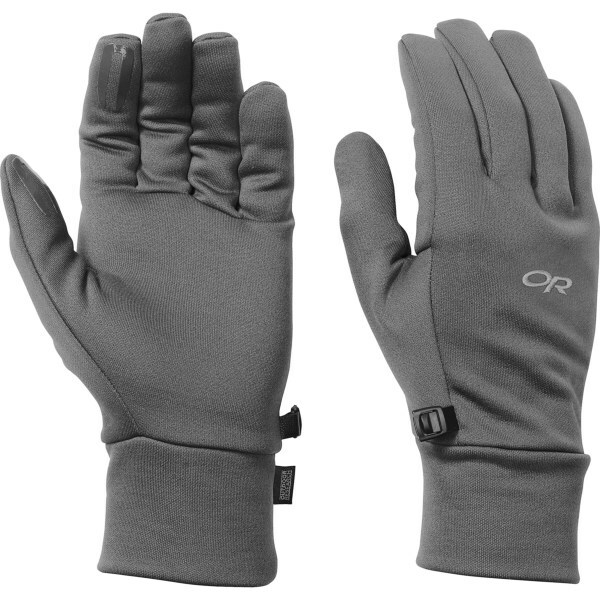 The Outdoor Research PL 150 Gloves are light and stretchy that add warmth. 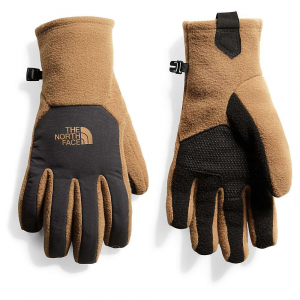 They also make excellent contact gloves in moderately cold temps. 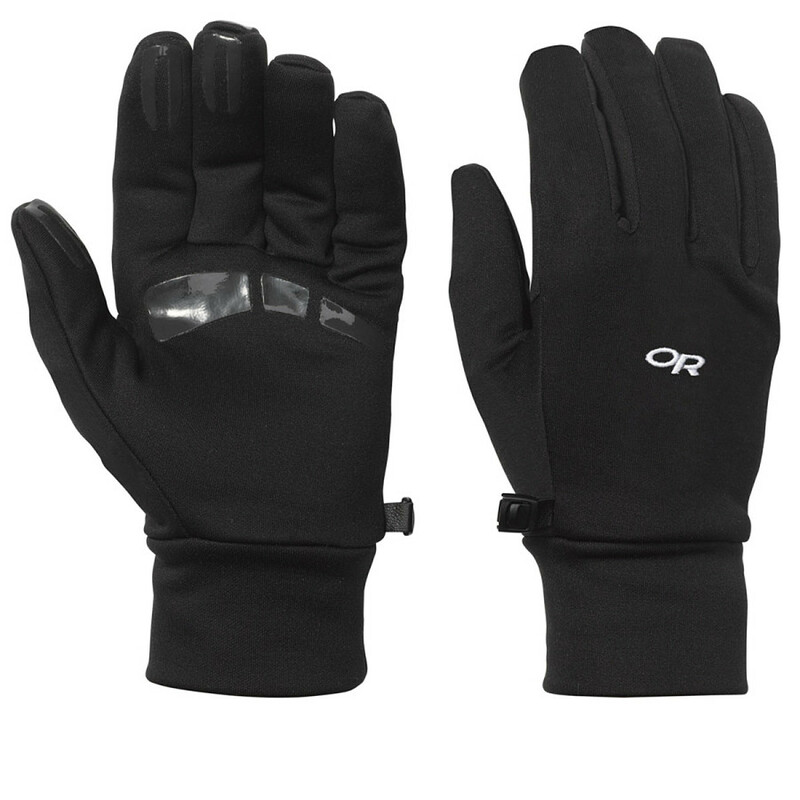 Add a layer of mid-weight fleece to your glove layering system with Outdoor Research's PL 150 Gloves. Soft, 150-weight fleece fabric has a smooth face for easy layering and a soft, brushed interior for softness and moisture wicking. All-over silicon printing provides grip and prevents shifting within a shell glove.